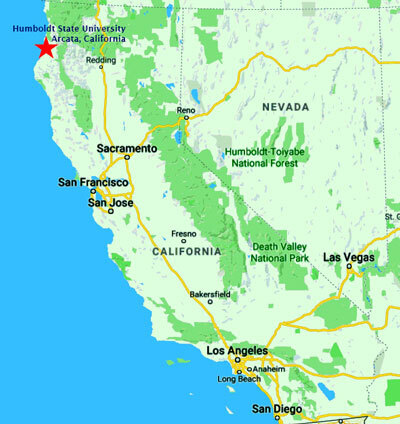 The Sequoia Chamber Music Workshop is a unique opportunity for young musicians to study and perform at least four different works with four different chamber groups over the course of a six-day session. Accepting applications through May 15! Since 1972, Sequoia’s goal has been to offer young musicians the opportunity to develop their technical skills and passion for music through a program of total immersion in the world of chamber music. Instead of focusing on a single “command performance” at the conclusion of the workshop, Sequoia provides each participant with the opportunity to perform four times during each six-day session. Each day students are assigned to a different coach and a different group of musicians, ranging in size from a trio to an octet. They participate in supervised sight-reading sessions, intensive coaching sessions — totalling up to five and a half hours a day — and nightly public performances in an informal setting. These performances encourage mutual support, emphasizing the non-competitive learning experience that is at the heart of the program. 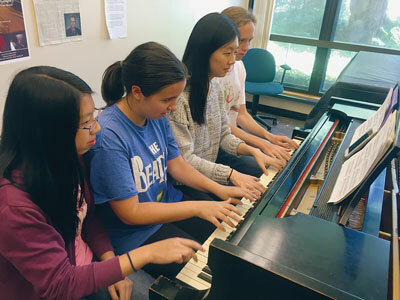 After performances, students who haven’t had their fill of chamber music often pull together for spontaneous “freelancing” sessions during which they sight-read music of their own choosing from the vast chamber music library at Humboldt State University. Participants also attend daily theory/aural skills and master classes that cover a wide range of topics related to chamber music, from historical performance techniques to self-coaching strategies for chamber music groups. With a coach for each instrument type and a student/faculty ratio of less than five to one, Sequoia has inspired thousands of future professional and amateur musicians with a lifelong love of chamber music. Sequoia alumni have attended every major music school in the country and are currently performing with such ensembles as the Baltimore, Detroit, Charlotte, Utah and Alabama Symphonies, the San Francisco Opera, and the Cypress and Miro String Quartets.